Thanks to Riley is My Girl for sharing this photo of her beautiful horse with a lovely braided mane! There are many online resources to learn about how to braid a horse’s mane. Here are a few to get you started. Other tips/links are welcome in the comments! Holly, did you check out the Button Braid video above? Awesome. 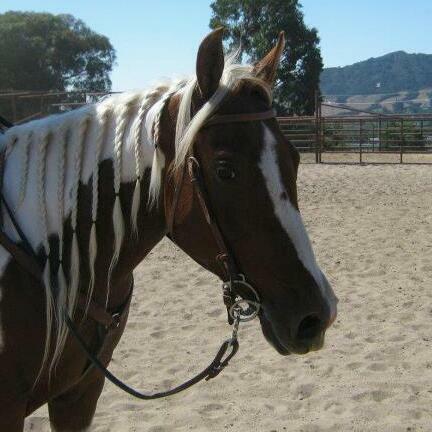 Someone should post how to do the running braid up top <3 I really like the DIY horse section. Should post more of it! I loved this video! You should definetly post more How to’s and DIY horse things. Love that stuff! Thanks for the great suggestion IllinoisCowgirl. I’m a total DIY girl, so I agree. Hopefully this will inspire more DIY blog submissions!